The description of any chef as a culinary pioneer is the highest praise imaginable, and it is also the perfect way to introduce the world-renowned David Burke. A living legend in the restaurant world, Burke graduated from the Culinary Institute of America, then honed his skills working with famed chefs in France and New York before conquering the food industry and opening restaurants all over the country. His television appearances have included Bravo’s Top Chef Masters and the Rachel Ray Show, where he would talk about his revolutionary cooking techniques such as GourmetPops, Pastrami Salmon and ready-to-serve cheesecake lollipops. 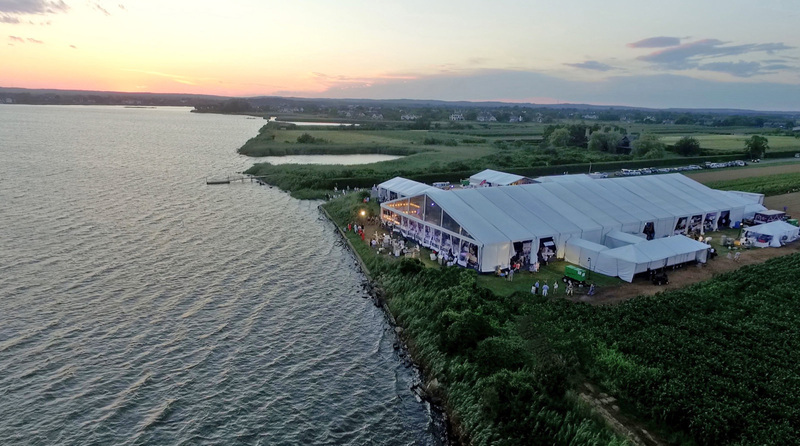 The Overhead Compartment caught up with Chef David Burke on his way out to the Hamptons for the big GrillHampton event to learn a bit about his life in and out of the kitchen. 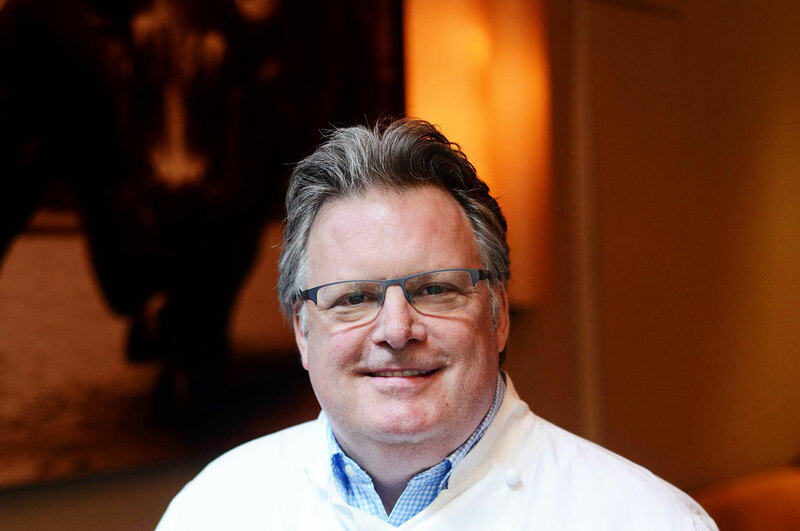 The Overhead Compartment with Chef David Burke starts now…. OC: You have had restaurants all over the country, what’s the secret to succeeding in the highly competitive landscape of fine dining? DB: Number one- you need a lot of drive, you need passion and hard work. Many factors go into succeeding in fine dining, especially in competitive markets like New York City and Chicago. A variety of things have to go right- you have to be funded, you have to have a brand, you need a team, you need vision, marketing, quality food and service, a location, fair rent… it goes on and on. Hundreds of things have to line up together. You have to work hard and you have to know the tricks of the trade. For me, one of my strengths is creativity. Creativity lends itself to press, notoriety and PR. People are always trying to see what’s next and what’s up my sleeve, so that’s been one of my strengths. OC: What are some of the unique characteristics of the New York market? DB: New York has everything; it has a ton of wealth, a ton of businesses and a ton of expense accounts. There’s no shortage of people who want to eat but there’s also a lot of competition, so if you create something it has to be good enough for people to come back. There are also a lot of people willing to try new things, a lot of food writers and exposure. On the other hand its very competitive, you have to pay more for rent and labor, for everything. Its becoming harder and harder between the board of health, minimum wage and all these other added expenses that are coming on. As the going gets tough, the tough get going- its always been that way in the restaurant business. OC: You’re known as a culinary pioneer with your innovations and techniques….Pastrami Salmon and ready-to-serve cheesecake lollipops to name a couple. 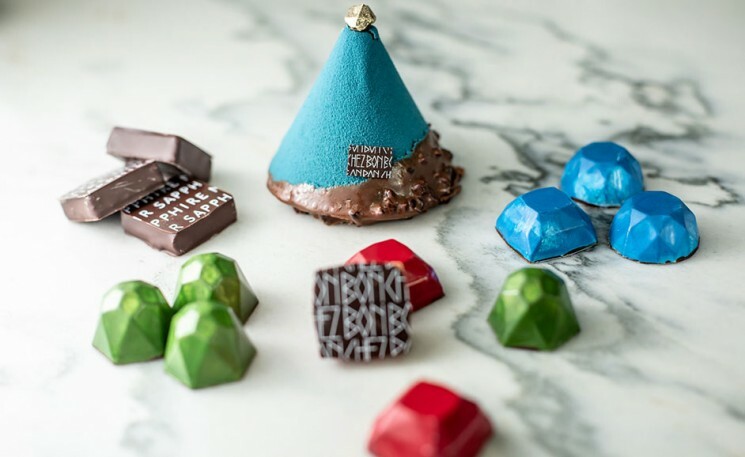 How do these creations come to be? DB: Most of my creations come out of sometimes a bi-product, trying to utilize something. Pastrami Salmon came from trying to utilize salmon bellies. I had worked in Norway so I had a connection to smoking and making gravlax. Cheesecake pops came from salmon; to be honest with you I made salmon pops first because I had excess smoked salmon due to the fact that I was in a pastrami salmon business. One things leads to another- I think a keen and aggressive appetite for creativity is one of the reasons that I’m always tinkering around with new items. I get bored easily; I have no fear in failure. OC: In the trial and error phase, how many tries does it take to get a new dish exactly right? DB: When you finally get the new dish exactly right, you need to tweak it for dietary changes and trends anyway. The idea of a dish is the most important thing and then you learn how to accessorize that dish based on seasonality and different decades. OC: Was there ever a creation you thought would work that just didn’t? DB: Yea, I’ve had a couple that I couldn’t understand why people weren’t crazy about it. I had an idea for a TV show I was nuts about, people thought I was crazy. It involved an imaginary sous chef and things like that… people just laughed at me. I still believe it’s a great idea. Maybe its ahead of its time, maybe its crazy, but in my head it works. I learned a long time ago that when you think something is going to work, stick with it. OC: What’s the one mistake many chefs make? DB: They don’t eat their own food, they don’t sit in the dining room, they don’t sit in a “guest room”. When you don’t eat in your own dining room, you don’t know if there’s air conditioning blowing on someone, if its noisy… so you need to eat your own food in the lighting that the restaurant has- not the kitchen lights. You need to see it the way the customer experiences it. That’s one mistake- the other is they don’t think for themselves, they tend to follow what’s out there. OC: You are a part of the huge “GrillHampton” competition. How competitive are chefs with each other? DB: I think in these events, its more comradery. We’re very competitive- I think we compete with ourselves more than we compete with a neighboring restaurant. You compete amongst yourselves; I think one of the great things about being a chef is the amount of respect chefs give to each other as a profession because we all know how hard it is just to be recognized. So, competitive, yes… but we compete for our own success. OC: What advice would you give to aspiring young chefs that have dreams o f opening their own restaurant ? DB: Work for the best people you possibly can and don’t chase money. If you can afford not to take the money, work for the most talented guys you can- even if it means working for free. OC: What’s your favorite dish to make? To eat? DB: My favorite meal is breakfast. My favorite dish to eat is probably a good roasted chicken, or scrambled eggs with lobster. I also love to cook and eat pasta. OC: You trained in France and the United States, what is the biggest difference in terms of training? DB: Trainings the same- I mean there’s a language difference. The pastries when I trained in France were superior to the ones I saw here. I went to school in France for pastry in another language, so training is the same. I’m the kind of guy that gets up early when I’m learning; I want to learn on my own. I have an appetite for knowledge; I work hard whether I’m here or somewhere else. I have a thirst for knowledge. I want to know everything. You can’t know everything, but I want to learn things quickly because I’m very curious and I try to cram it in. OC: How did you spend your free time when you are not cooking ? DB: Chef is always cooking. Chef is always in charge and cooking. Chef is in charge even in a bathing suit. I’m always cooking- in my head something’s going on. I enjoy great artwork, I like to travel, I like to eat out, I enjoy my kids, I enjoy architecture, I like design, whether its architecture, artwork, fabric. I like that kind of stuff. I love music too. OC: You’ve written books, appeared on TV and opened highly successful restaurants, what would you be doing if you were not a chef? DB: Model- I’d probably be a swimsuit model. Just kidding, I’d probably be an architect or an engineer for buildings; something with my hands. OC: Top three favorite restaurants in the United States? DB: French Laundry, Le Bernardin, River Café. DB: I go for the m&m’s. DB: Pens in my pocket- 3 pens. David Burke, please use care upon departure as items may have shifted in The Overhead Compartment during our journey. Thanks for choosing us for your travel tips! Have a wonderful day!